Use case: make opportunity become read-only when opportunity reach stage Closed Won. This would be one of the most famous solution without code, but this will make the system more difficult to maintain as the object will have additional record type set and additional page layouts. In short, when the opportunity reach Closed Won, with Workflow, change the record type to new record type and assign the new record type with page layout with read-only fields. This will work by change the record owner to a system user in highest role hierarchy. This will work well when the OWD sharing setting is Public Read-Only. 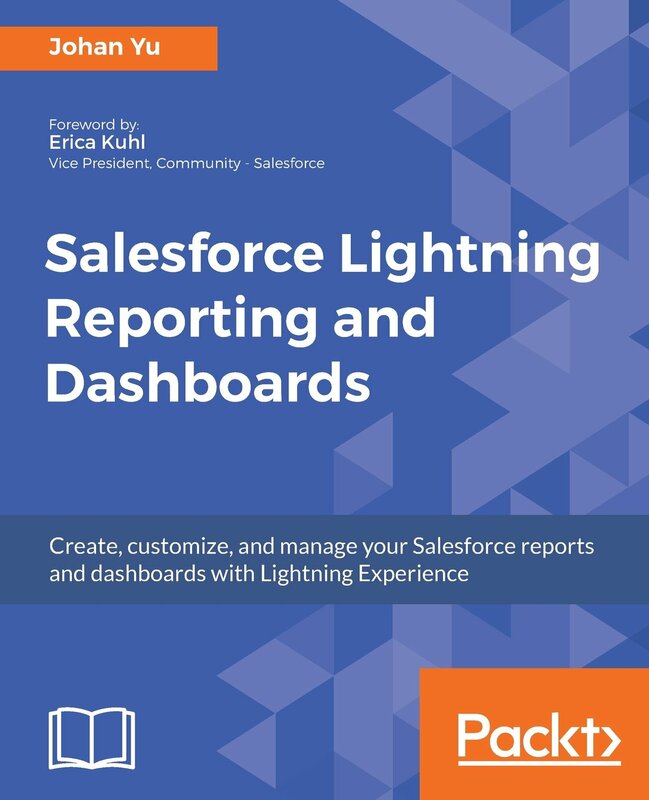 But, often this solution will not work well, because the original record owner changed and it is important for reporting, although you can create custom user field to store it. By using function PRIORVALUE() and ISCHANGED() to detect any changes happened in Closed Won record. User will get error when save opportunity has been marked as Closed Won previously. 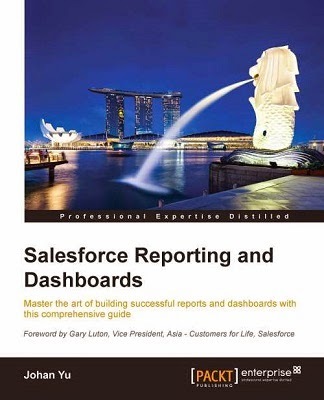 Since Winter '16, Salesforce introduce lock() and unlock() methods in the System.Approval namespace. Admin need to enable this feature, from Setup | Create | Workflow & Approvals | Process Automation Settings. Then, select Enable record locking and unlocking in Apex. In previous blog, we shared about users able to edit locked record and who will see Unlock Record button. 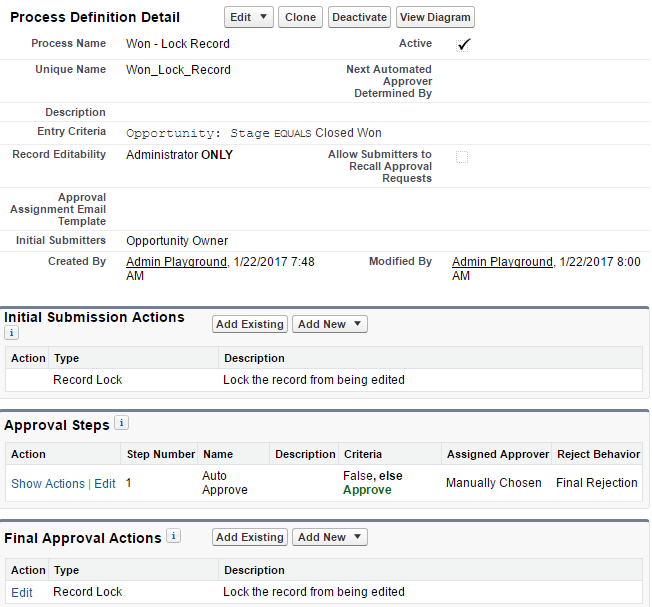 As Process Builder able to call Approval Process, we'll make use of this combination to auto submit for approval when opportunity reach Closed Won. The approval process here would be auto approve, therefore it will leave a trace in the approval process. 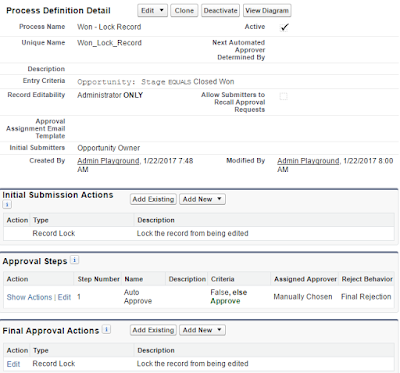 Drawback for option (5): opportunity approval history will show action for approval submitted and approved, this is not ideal if you use opportunity with other approval process.